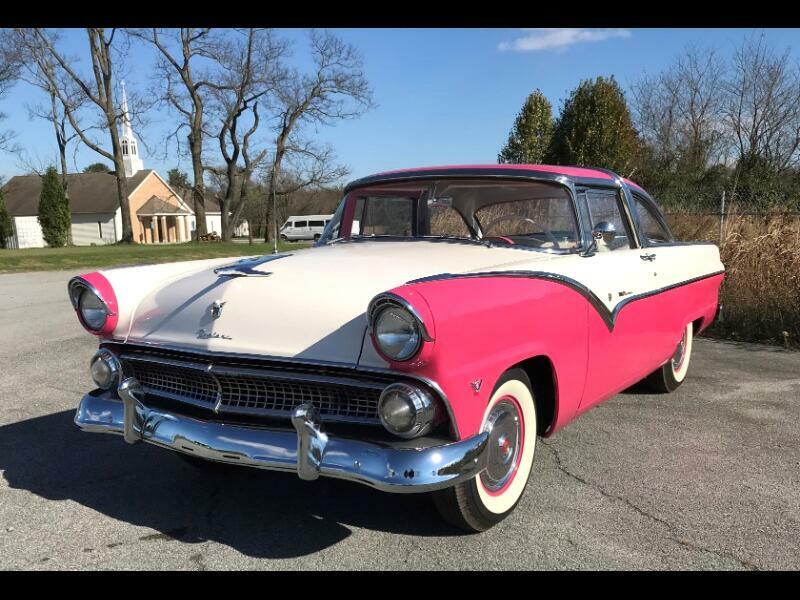 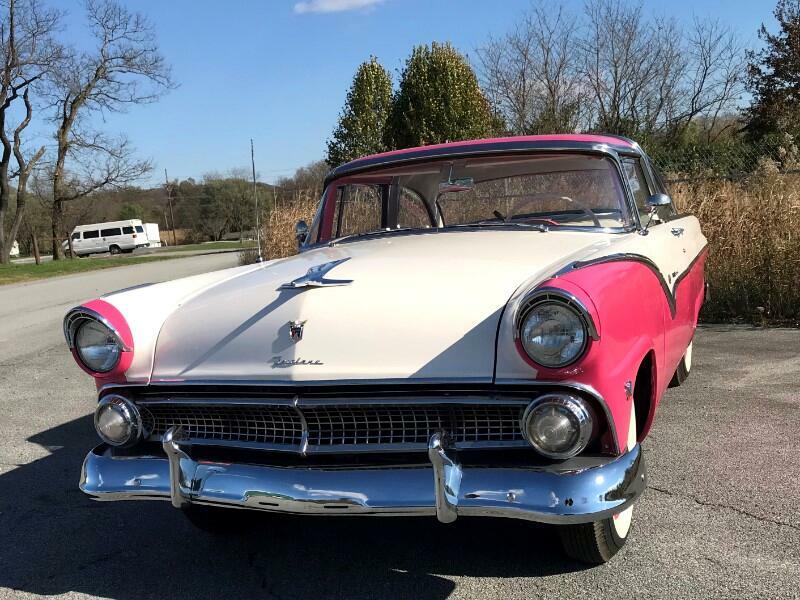 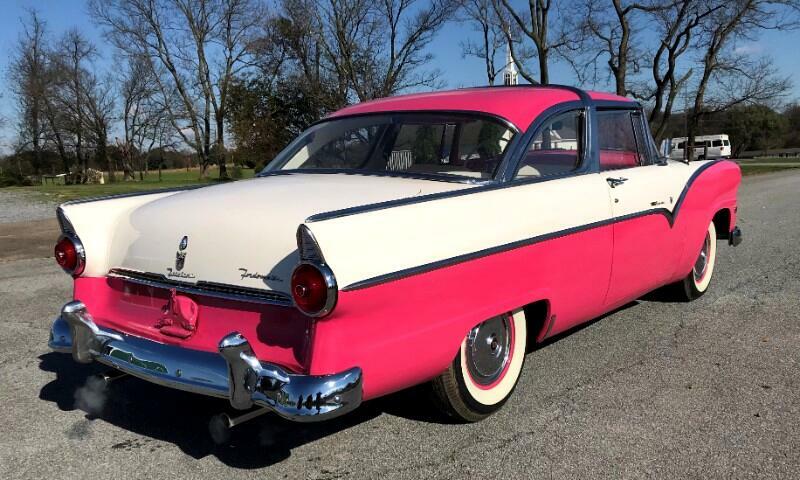 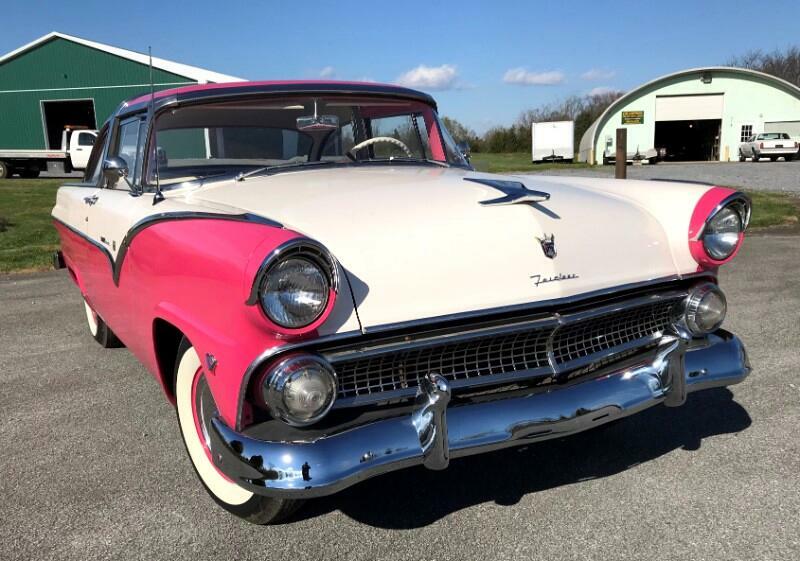 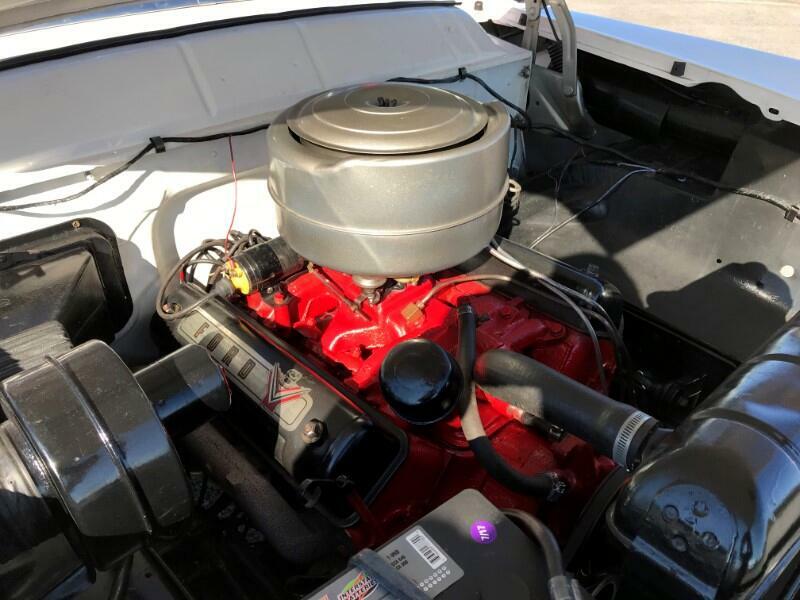 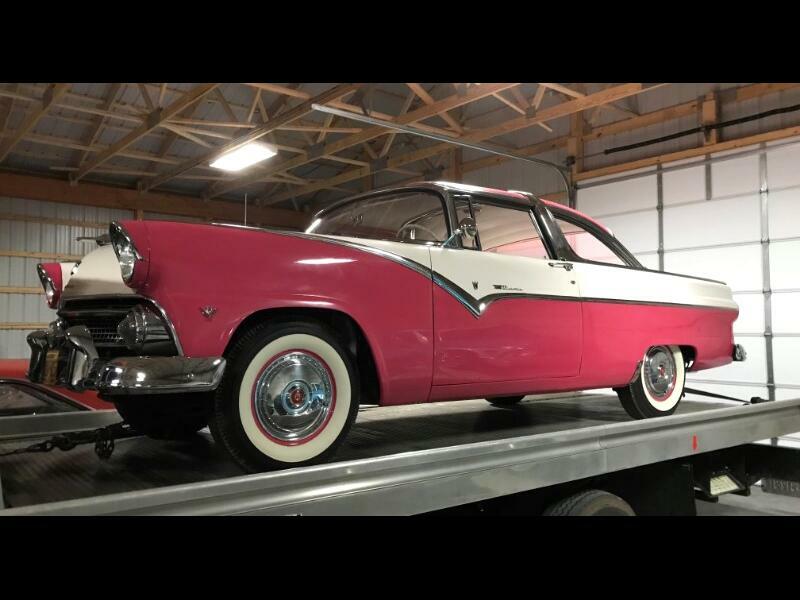 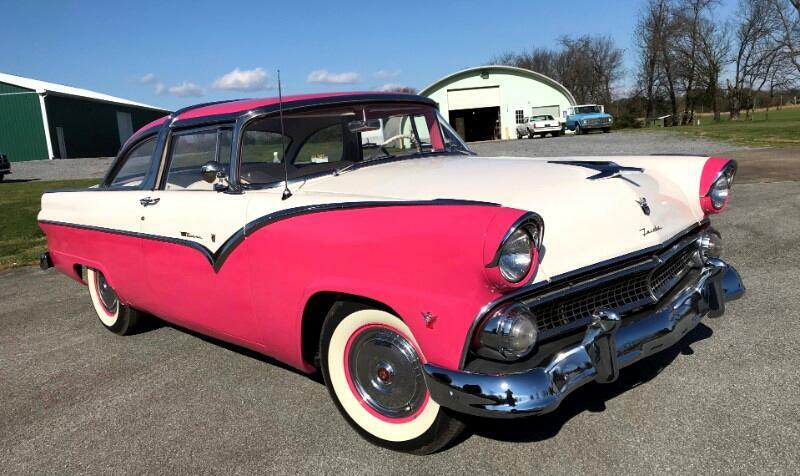 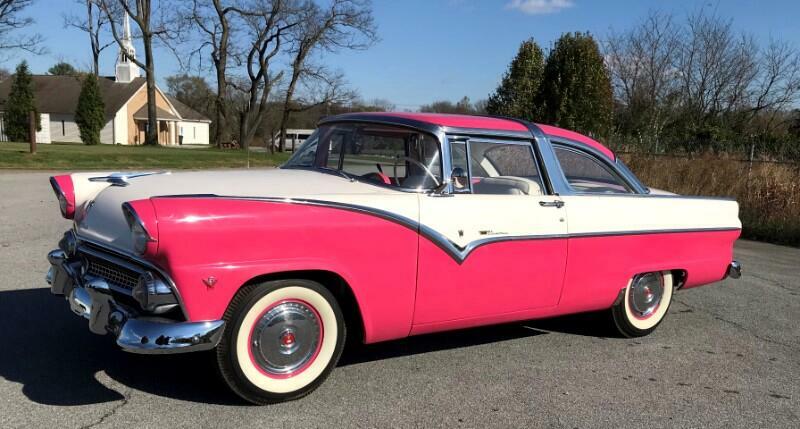 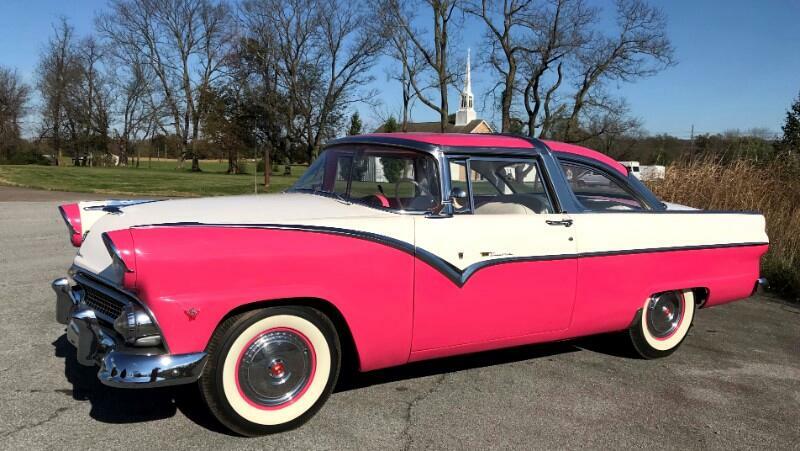 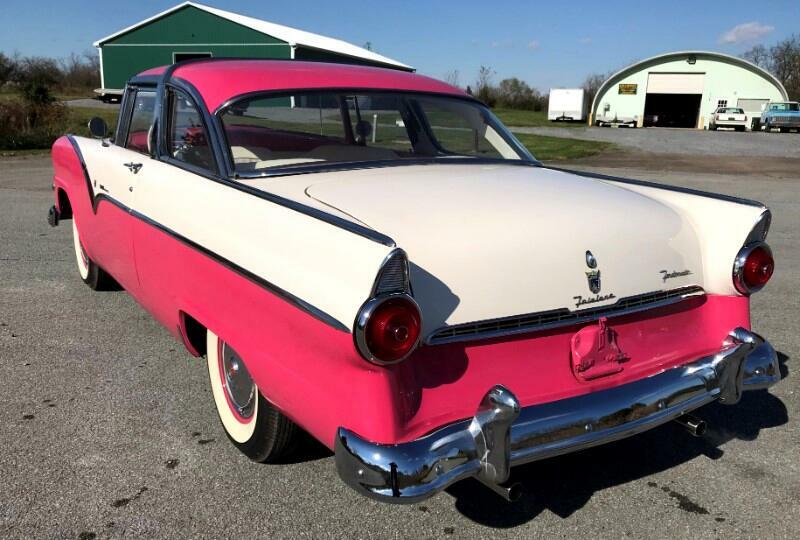 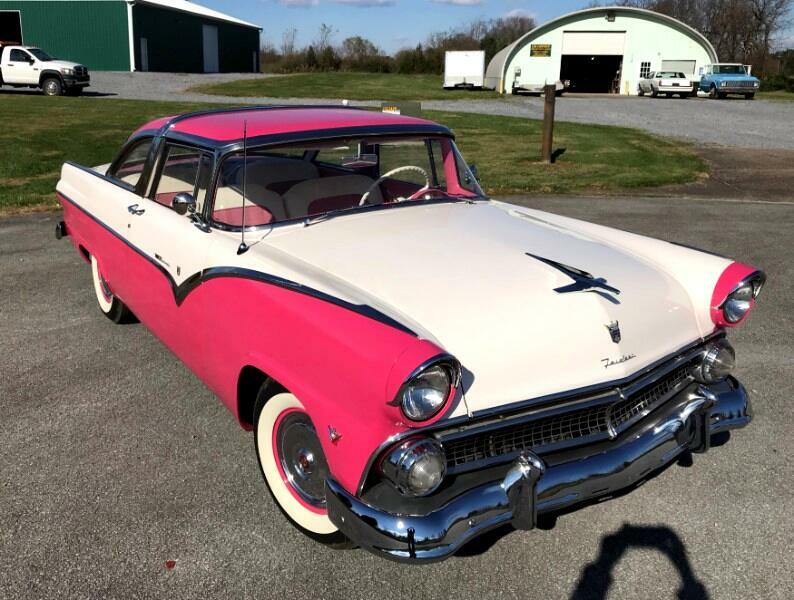 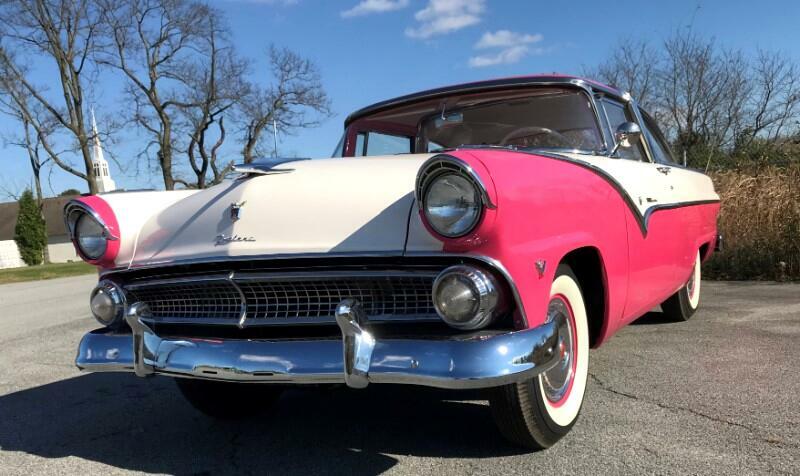 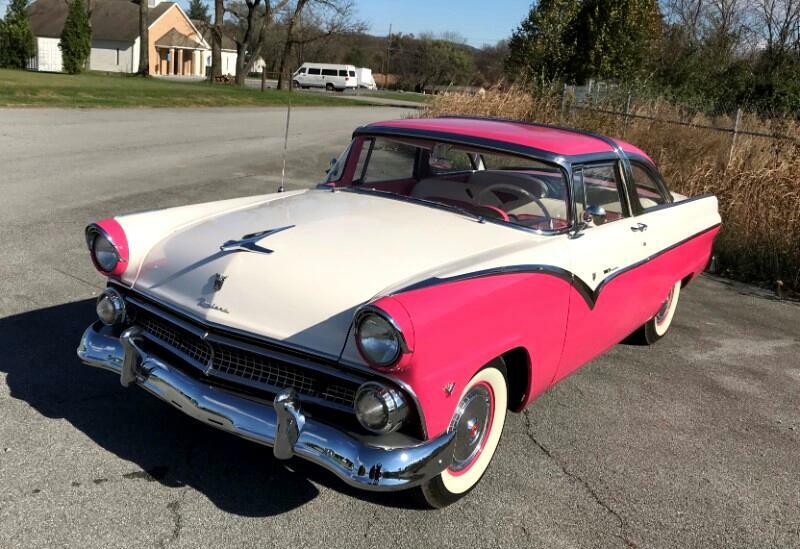 1955 Ford Crown Victoria two Dr. Has 272 cu in V8 engine and automatic transmission. 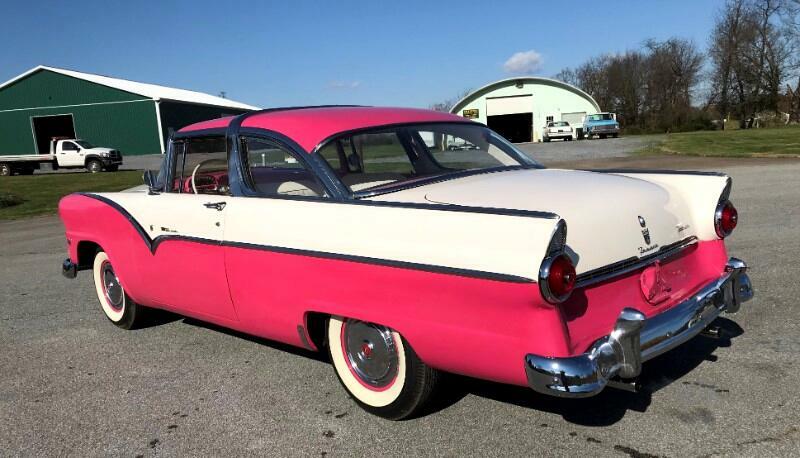 This car has undergone a thorough body off restoration. 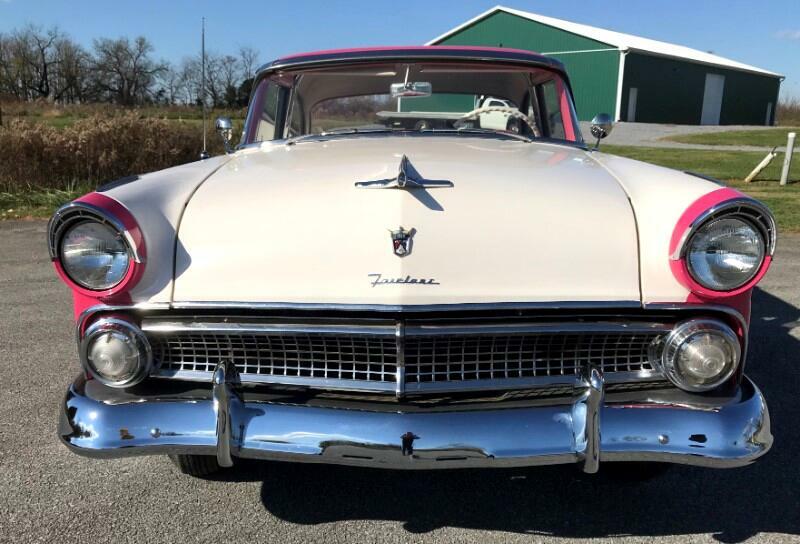 All chrome was either replaced or removed and polished. 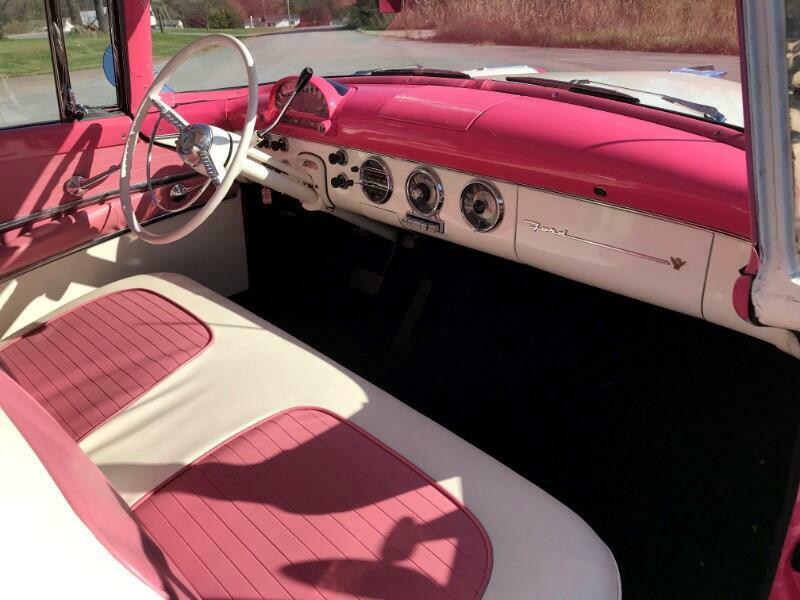 Complete new interior. 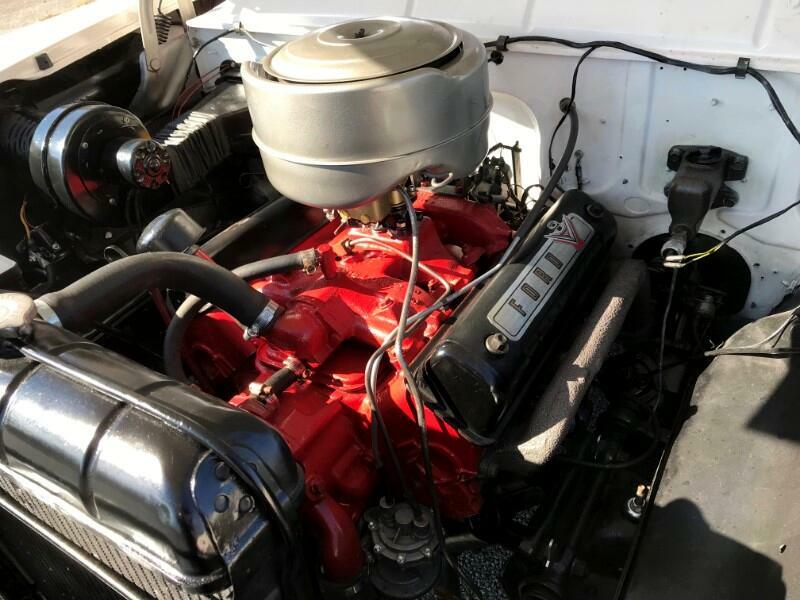 Undercarriage is excellent and new stainless exhaust system with dual exhaust. 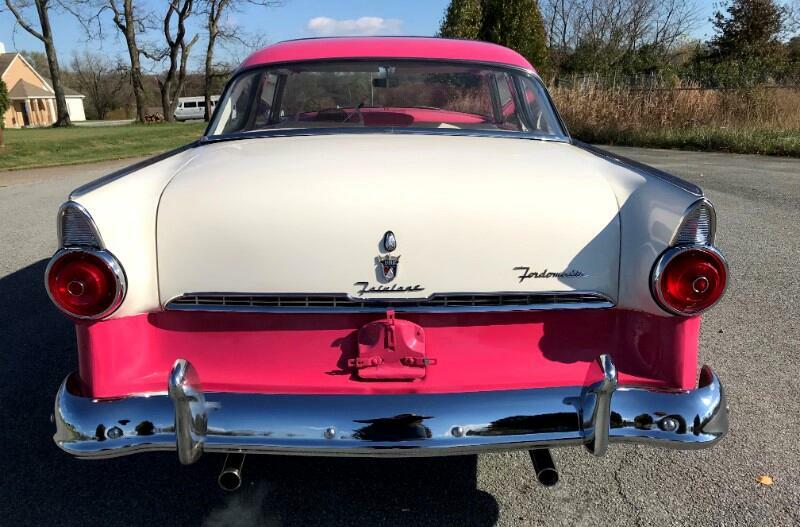 Also has a new set of correct wide white wall tires. 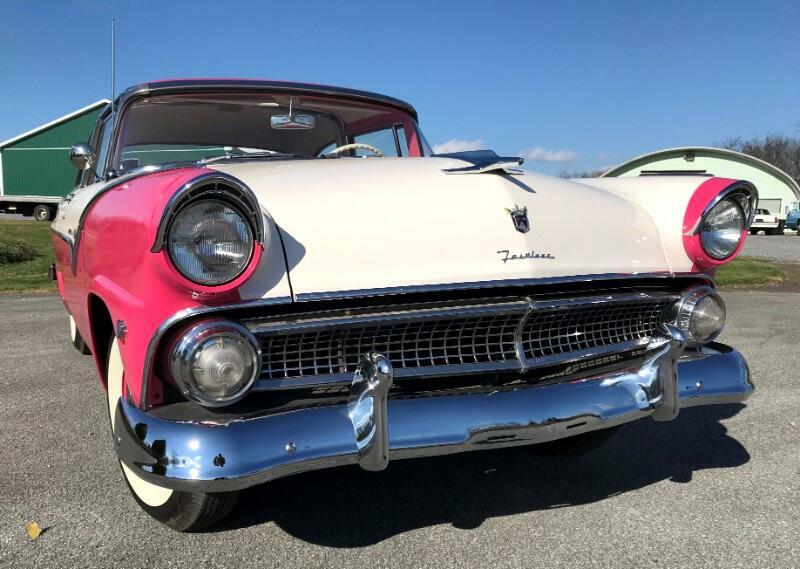 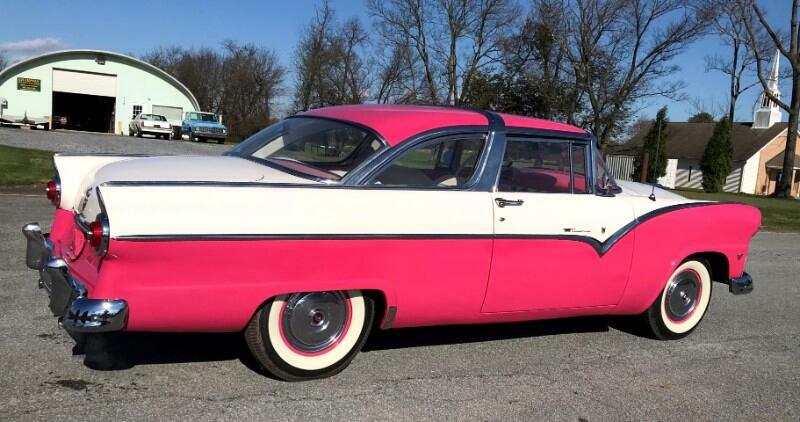 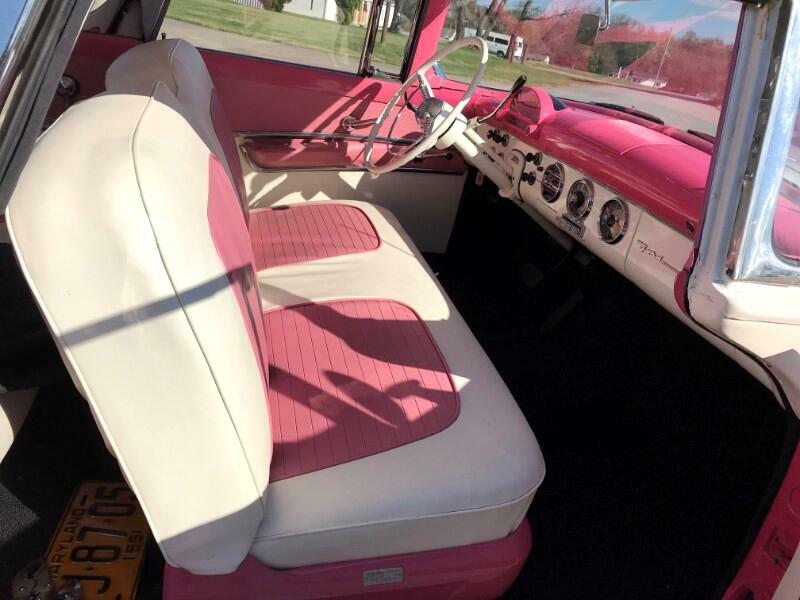 This is one of the most rare color combination for this car in pink and white, with the matching pink and white interior. 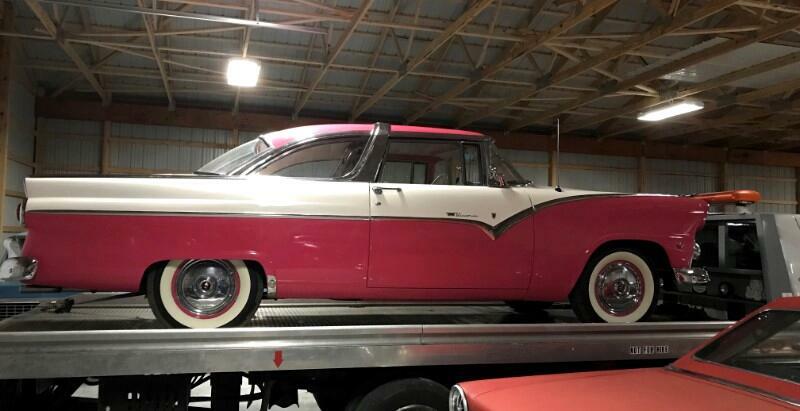 Message: Thought you might be interested in this 1955 Ford Crown Victoria.